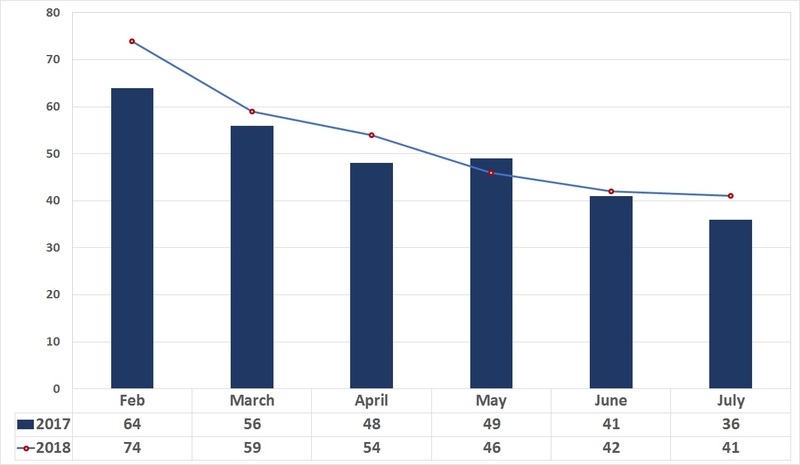 While new listings and the number of contracts written in July of 2018 saw minor decreases, the amount of days a listing in on the market continues to reduce. The Fourth of July holiday, summer vacations and back to school preparation is likely the cause for the slight slow down in the greater Wichita area residential real estate market in the month of July. The statistics below are based on information from the RSCK MLS for the time period of July 1, 2018 through July 31, 2018. Report data generated on August 1, 2018. As mentioned previously, the number of new listing and contracts written are down minimally from June of 2018. Despite these small decreases, our market remains strong and continues to improve compared to earlier months this year and the later months of 2017. Although July didn’t follow the upward swing of June, today’s market is still much stronger than that of July of 2017. 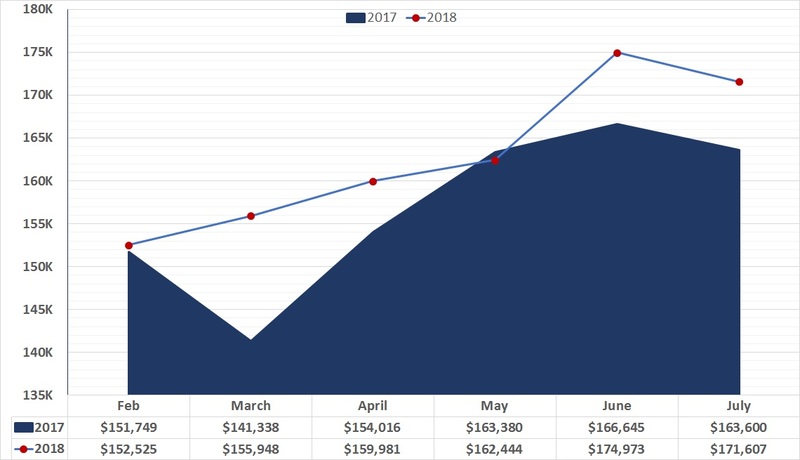 In comparison to last year’s market, the average sales price of a home in the greater Wichita area has increased by 1.05%. Which is encouraging news for homeowners throughout the Wichita area. Visit us at www.weigand.com to explore and utilize the Price My Home tool. Create an account to set up Property Alerts to notify you of new inventory and Market Snapshots to discover what the market looks like in a specific neighborhood or area you’re selling or searching in! The number of days a home is on the market continues to decline. 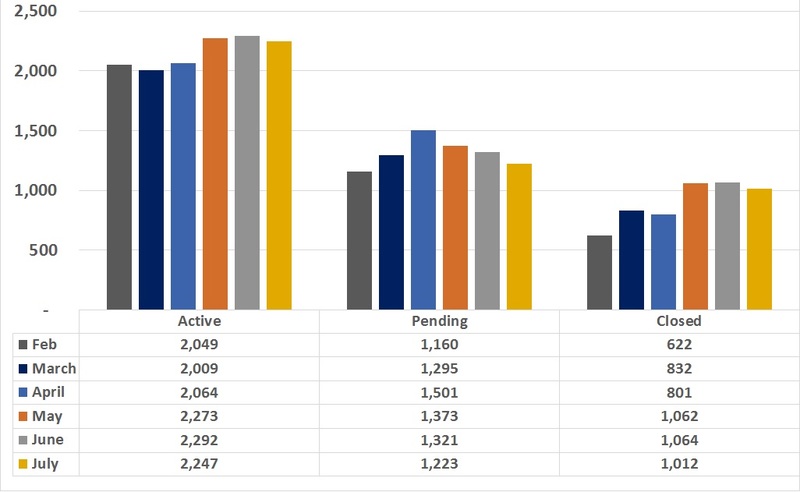 In comparison to the beginning of 2018 and the later months of 2017, the days on market have decreased by over 30 days! If selling is a consideration, now would be the time to do so, as homes continue to sell quickly. To view June’s Market Update click HERE!